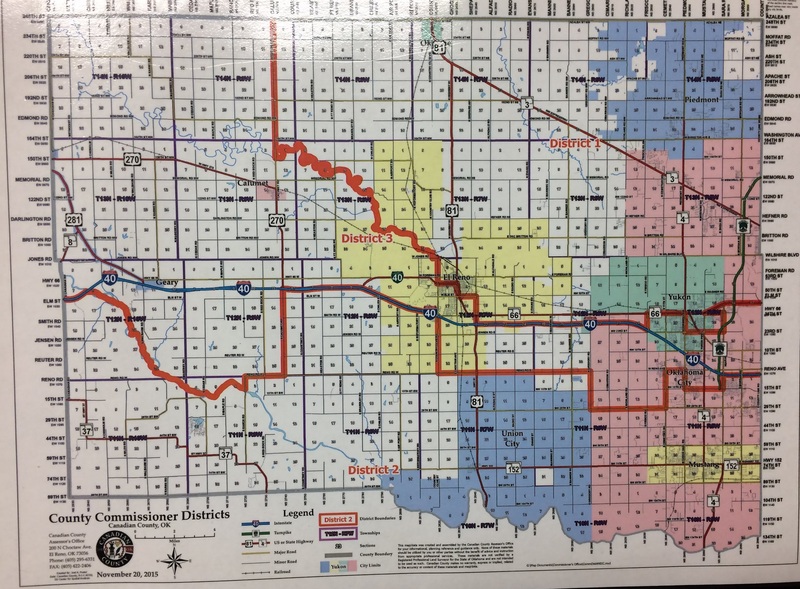 Comprising most of the NE section of the county, District 1 incorporates the City of Piedmont, the majority of the City of Yukon, western parts of OKC, and a portion of the City of El Reno. The county commissioner for District 1 is Marc Hader. How do I get my road repaired? How do I read the minutes of the Commissioner meetings?